The stained glass windows in the church were designed and made by Louise Stuart of Brookings. They were installed under Louise’s direction in February of 1987. The four windows on the Northwest side of the sanctuary (between the sanctuary and the narthex) depict the Old Testament characters. 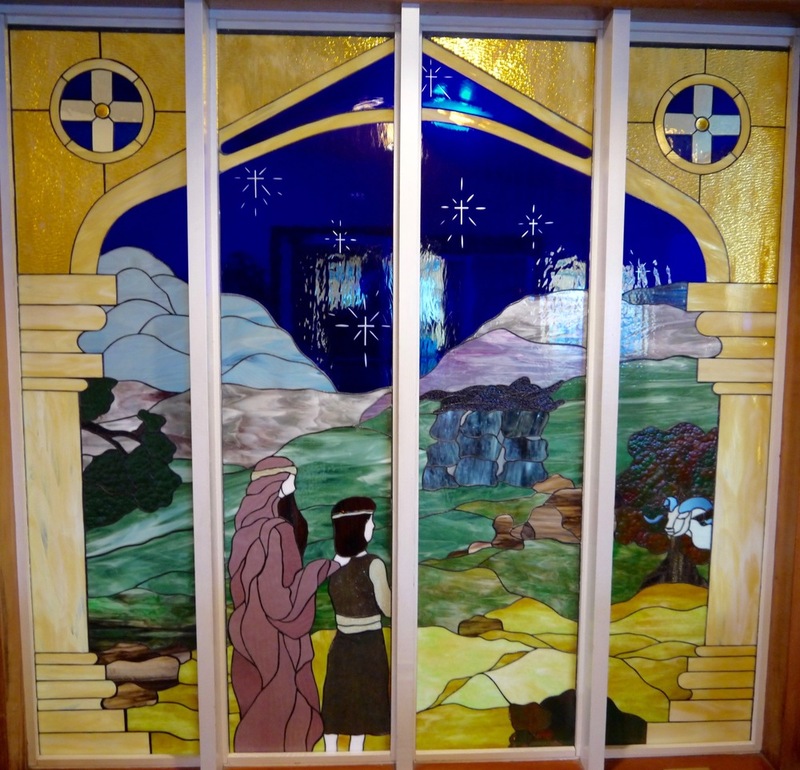 The three windows on the Southeast side of the sanctuary (along Oak Street) depict the New Testament Happenings. The two windows in the front of the church (on each side of the main entrance) were designed and assembled by Vi and Glen Buck, students of Louise Stuart. These windows, which were the inspiration of all the stained glass windows, were the result of a gardening mishap. One day while the church lawn was being mowed; a rock was thrown by a mower blade through one of the church windows along Pacific Ave. The next Sunday, Glen Buck (looking at the window from the congregation) and Vi Buck (looking at the window from the choir) had the same thought. 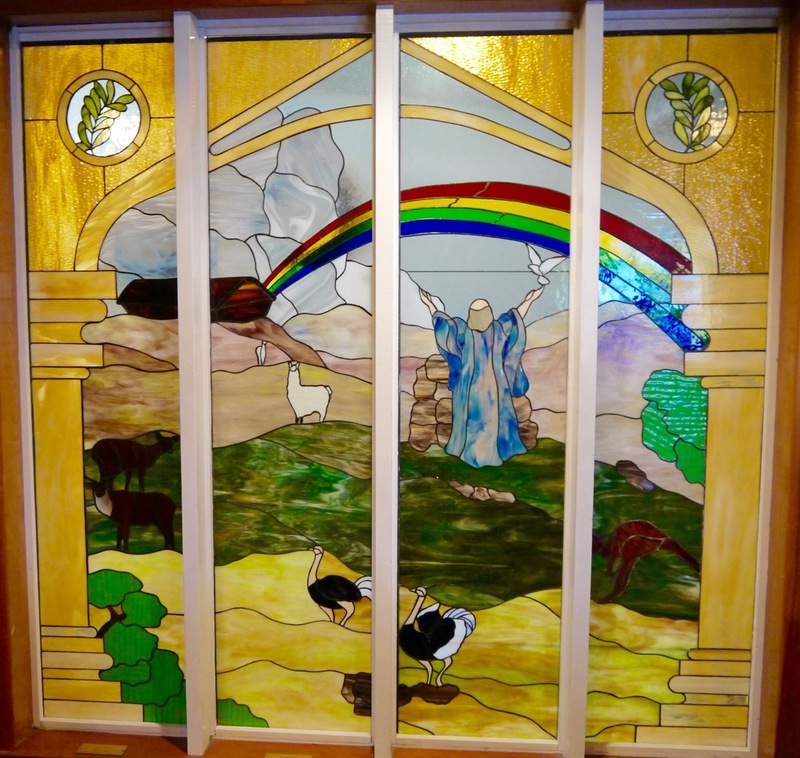 Why not replace the broken window with a stained glass window? Vi and Glen went to work on the design and came up with the idea of two panels. The first would emphasize the star over the birth of Christ in Bethlehem. The second would recognize the light of the cross, with the two depicting the beginning and end of the Gospel story. 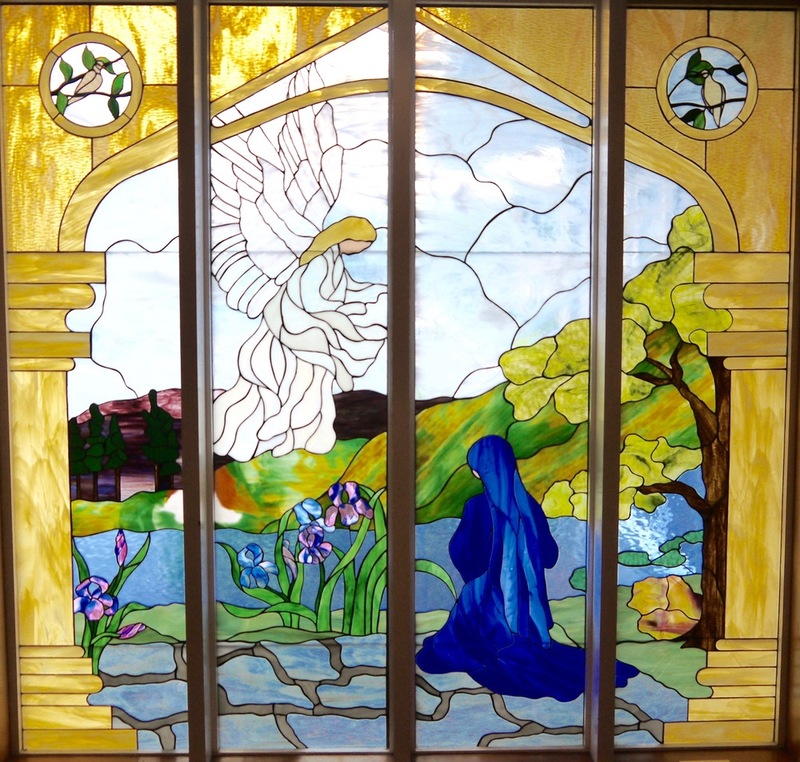 When the two window panels were installed, it was suggested that the stained glass windows be placed in the rest of the sanctuary. The idea quickly “snowballed” and before the all windows were installed, all the costs had been underwritten. At the time of the installation, a check of $15,400 was paid to cover the total cost of the project. Dedication of the windows took place on Sunday March 22 1987 under the direction of interim pastor Rev. Richard J. Cochran, former pastor Rev. John Lacy, and Glen Rogers (the chair of the Buildings and Grounds Committee). The three windows on the Southeast side of the sanctuary (along Oak Street) depict the New Testament Happenings. The Four Windows on the Northwest side of the sanctuary (between the sanctuary and the narthex) depict the Old Testament characters.